‘Tree of Life’ by Margery Bloomfield. The European School of Osteopathy has a world-class reputation, prides itself in its international links, and has graduated students from nearly 30 different countries since the school began. 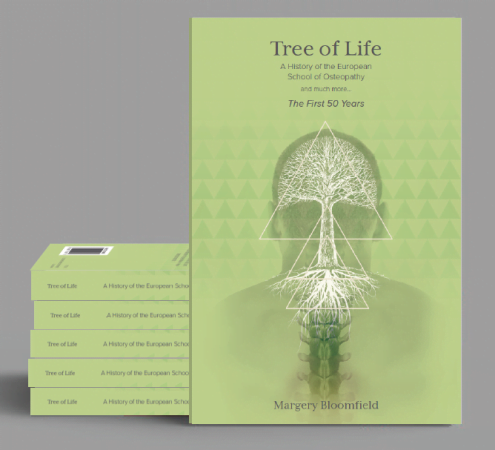 Much of its success was due to the hard work and determination of Margery Bloomfield, its co-founder. The author looks back on the enormous changes – difficulties and success stories – over 50 years. Tree of Life is a remarkable story of an extraordinary woman – a valuable legacy for osteopathy students both past and present.